There's something pretty magical about personalised picture books. And there's nothing like a personalised story to capture the attention and imagination of a 4-year-old. As we tucked into bed, ready for some bedtime reading this week, I produced a surprise new story to read to my eldest daughter for the first time. What my daughter did not know was that she was the star of 'The Forgotten Forest' . She couldn't believe it when she heard her own name mentioned along with where she lives, her favourite colour, her cousin's name and birthday. 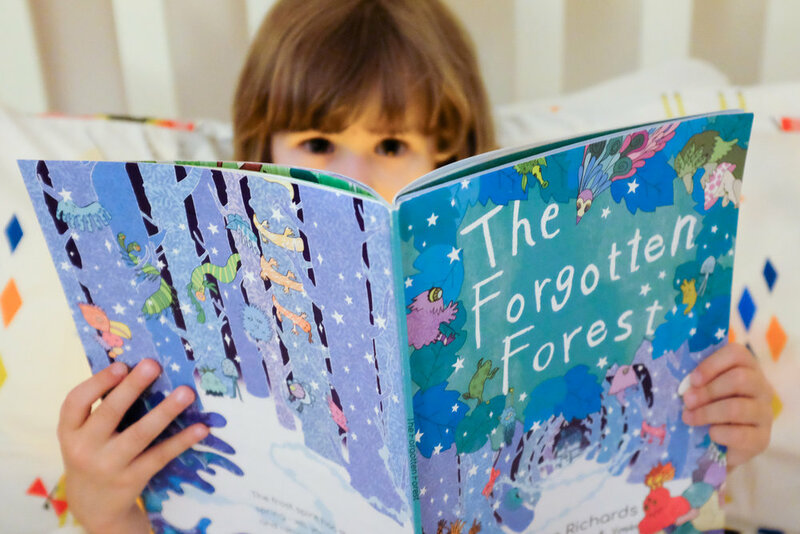 'The Forgotten Forest' is a personalised book and also a Kickstarter project. It's the brainchild of Katharine & Matt Harbord. Together they set up the brand Oh Zoe to create personalised picture books focused on high quality writing and illustration. So what makes The Forgotten Forest so special? It's not just the story that's personal to your child but the illustration too. For the main character you can choose from 8 skin tones, 6 eye colours, 25 hair colours and there are options to include a wheelchair, ear defenders, hearing aids and glasses. ‘Sas and Yosh’ (Sarah Bellisario and Yoshie Allan) are the artists behind the design and illustration. 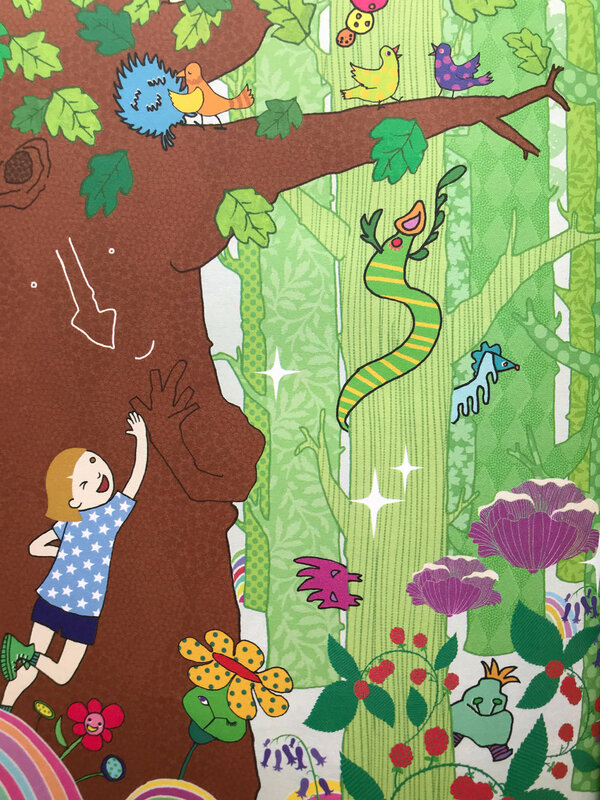 What I particularly love about this book is the beautiful use of colour and nod to Japanese art. 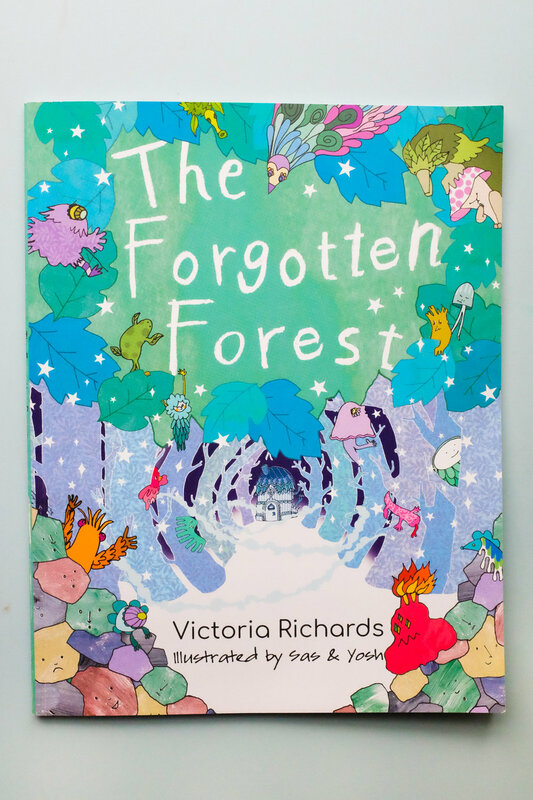 The story is written by Victoria Richards who won the Oh Zoe Rising Talent Award in January 2017 to find new picture book talent. It follows the main character (in our case our daughter Alice) who is challenged to help save the forest from the frost spirit who has stolen the key to Spring. The book has really captured our daughter's imagination. It is definitely encouraging her love of reading, particularly as the book is so individual to her. The team at Oh Zoe kindly sent me an advance copy of The Forgotten Forest in exchange for an honest review. All thoughts and views are my own personal opinion.